I'd wanted to make Bruschetta for a while now. However, I kept putting it off. No real reason - it just kept getting pushed back. Finally, I just got tired of putting it off. We bought a messload of tomatoes, thinking I'd have to come up with a few different ways to use the tomatoes before they went fuzzy. 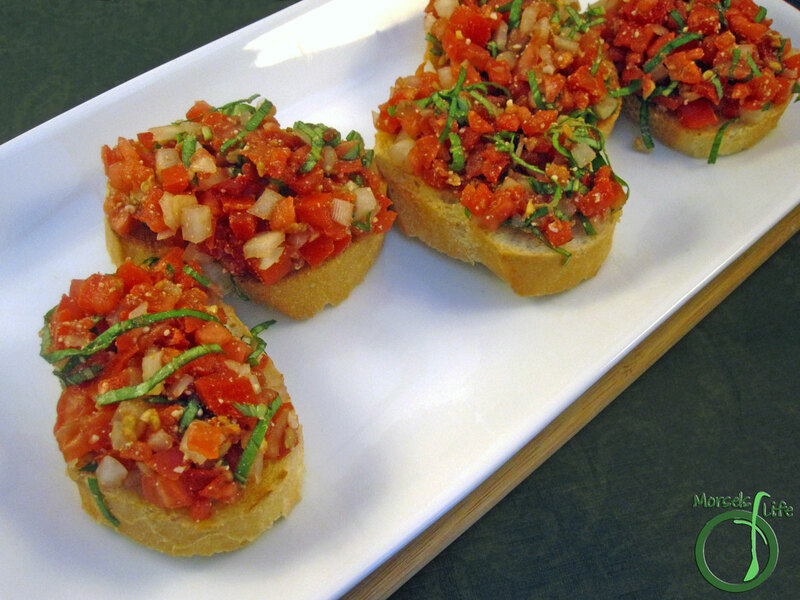 I'm glad to report - it worked - I finally made Bruschetta. 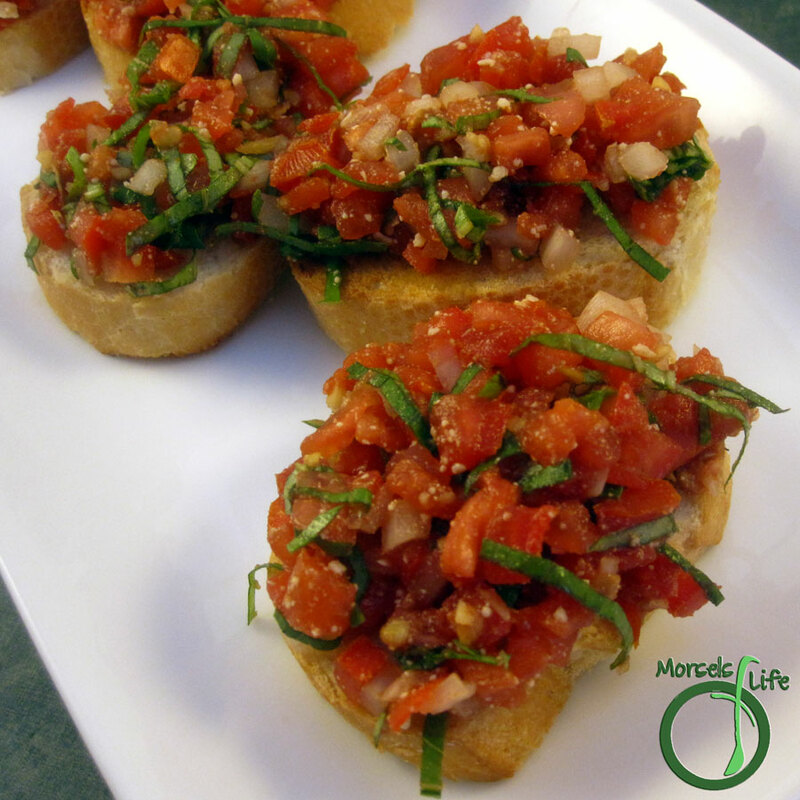 It's usually served as an appetizer or snack, and it consists of toasted or grilled bread with basil, tomatoes, and onion on top. I also threw in some Parmesan cheese and Balsamic vinegar, just for fun. 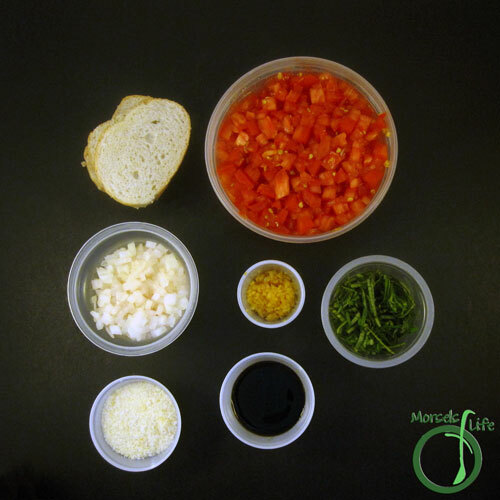 The sweet tanginess of the vinegar and the savory cheese really pulled the flavors together and enhanced them. 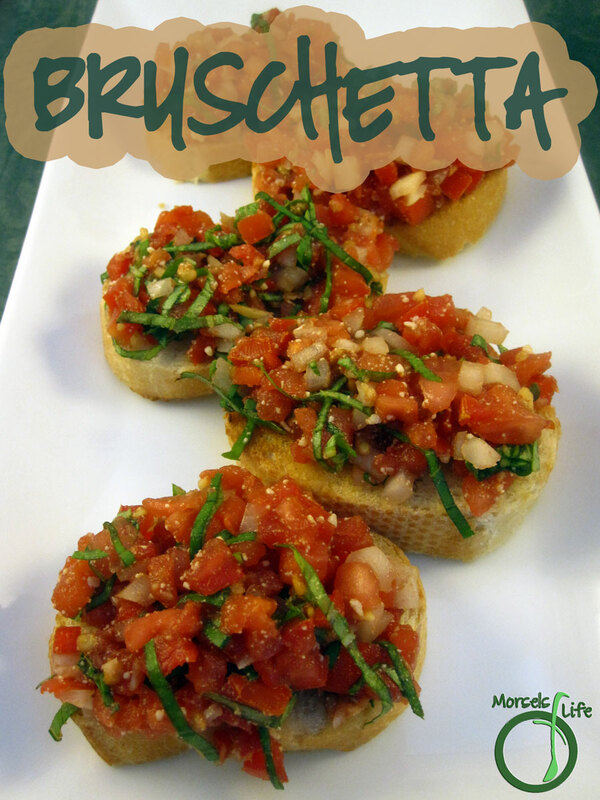 Give this bruschetta a try and see what I mean! How do you get yourself to do something you've been putting off? 3. 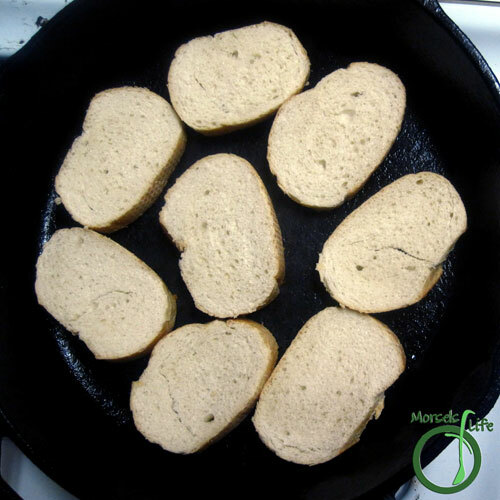 Combine remaining materials, and place on top of bread slices. These look soooooooooooooo GOOD !! 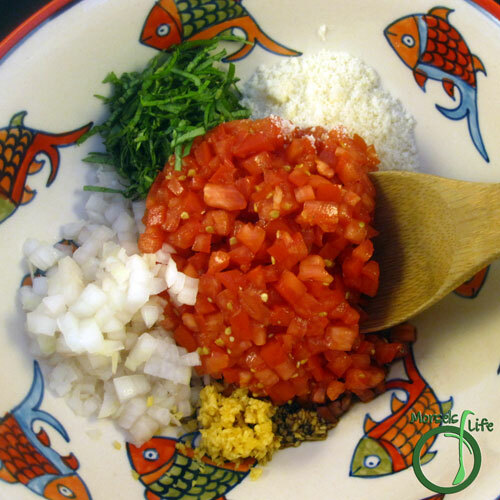 This looks particularly flavorful!! Thanks for sharing with us at Throwback Thursday! Mmm - A mouthful of goodness! Thanks for sharing on last week's Whats for Dinner link up! Sorry it took so long for me to stop by - crazy week! Gabe chose this as his favorite this week. Thanks for sharing at Turn It Up Tuesday. Tweet with you soon!